MTB Kerala Third Edition : The phenomenal success of MTB editions 1 and 2 has set the ball rolling and enthusiasm is palpable in the air! The third edition of the event is all set to be flagged off on April 18, 2015. A project of the Department of Tourism, MTB Kerala was the first of its kind in the State when it was announced three years ago. Today, this mountain cycling challenge has proved its stature, marked by loads of thrill and fun. This time, the event is poised to scale new heights and will take the riders to the hills, valleys and mountains of Wayanad – a green paradise in Kerala. Kerala Adventure Tourism Promotion Society (KATPS) is organising MTB Kerala 2015 on April 18, 2015 on Priyadarshini Tea Environs, Mananthavady, Wayanad. Twenty Two international riders from eight countries have registered for the event. This year MTB Kerala is back with its third edition promising riders an experience all the more thrilling and challenging than ever before. The virgin forests of Wayanad will unleash her best to take the riders on a ride that is equally enrapturing as well as adventurous. International Cross-Country Competition XCO (Elite Men). National Cross-Country Competition XCO (Elite Men) Cross-country. The Five Kilometre for this edition goes through the high hills of Pancharakolly near the stunning river kabani. the track, situated at an altitute of about 3000 ft is well connected by road, rail and air. Riding through the beautiful tea plantation, will be a stunning experience that a rider can never forget. The cool climate of Wayanad will definitley encourage you to ride through the track that has many surprise to offer. A registration fee of Rs. 1,000/- will be charged from state participants and Rs. 500/- will be charged from National elite riders for participation. The cash should be paid at the time of registration. Registration for international participants is free. Riders will be facilitated with ground transportation, accommodation and meals from 16th to 18th April 2015. 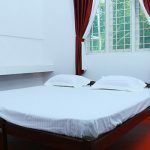 The MTB Kerala organizer will provide boarding & lodging for a maximum of 3 nights for 60 cyclists and local transportation will also be provided by the organizer. 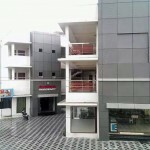 Accommodation – The participants will be provided with accommodation in the best available hotel near the location. The room shall be on sharing basis. In case there is only one rider from one team, the room may be shared with a member from a different team. Meals – Breakfast and dinner shall be served in the hotel. Lunch shall be served at the venue during the duration of the stay. Ground Transportation – Pick up and drop service to the airport will be provided for all participants. 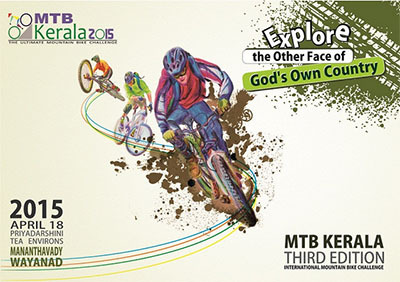 To know more or to check official website of MTB Kerala click here. 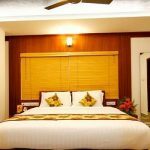 or visit at http://www.mtbkerala.com/index.php. To know about Wayanad, click here. How to Reach Wayanad: Kozhikode is the main entry point via which Wayanad can be easily accessible. Tourists have the option to take buses or cabs to the venue from Kozhikode through the famous Thamarassery Pass.